Windsport has had a great end of 2017 and beginning of 2018 with the current production of boats having already been allocated to customers in the UK and via our sales partners abroad. We are running at full capacity to ensure all Dart 18 and Sprint 15 boats are produced and quality checked to be ready in time for delivery. We are looking forward to both active fleets growing and flourishing this year. 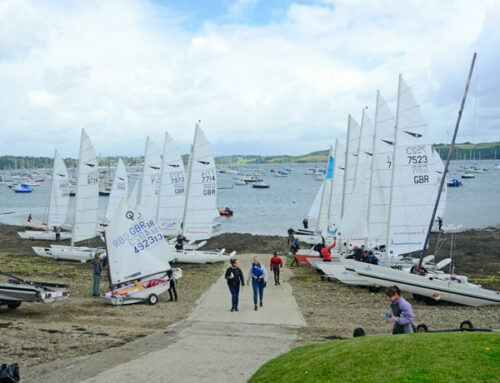 The Dart 18 UKIDA Fleet already has launched its National Series and Overall Championships along side fleet training with us at Windsport Falmouth, a South West Championship, Inlands and Ladies / Single Handed nationals too. There are also already organisations in place to host not just one but two World Championships – 2018 in Dervio, Lake Como, Italy and 2019 in Pattaya, Thailand. There is no slouching on the Sprint 15 front with our first delivery of this years new boats taking place at the RYA Dinghy Show. The Fleet is celebrating their 40th Anniversary this year with a solid championship series already published too.